Dead Lenin Cake? - Soviet-Empire.com U.S.S.R.
Forum Index » Off Topic » Propaganda » Dead Lenin Cake? Nice cake. I suppose that it's easier to make Lenin like that than standing. I think I would feel wired to eat of it and won`t eat anything...Reminds me of the Wedding Cake I once saw. 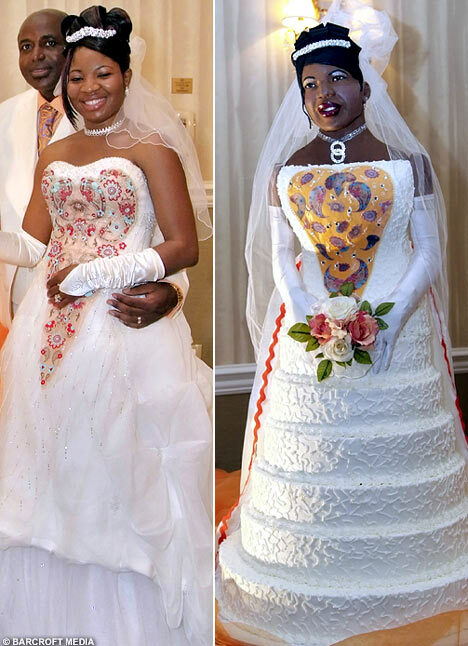 It was a wedding cake of a bride: http://i.dailymail.co.uk/i/pix/2008/01_ ... 68x646.jpg I think she and the guests feeled wired too "eating her". I would prefer perhabs a big red Star or something else, but somehow not a person. Man are there some weird people out there. Not that I'm one to talk. Funny as hell all the same.